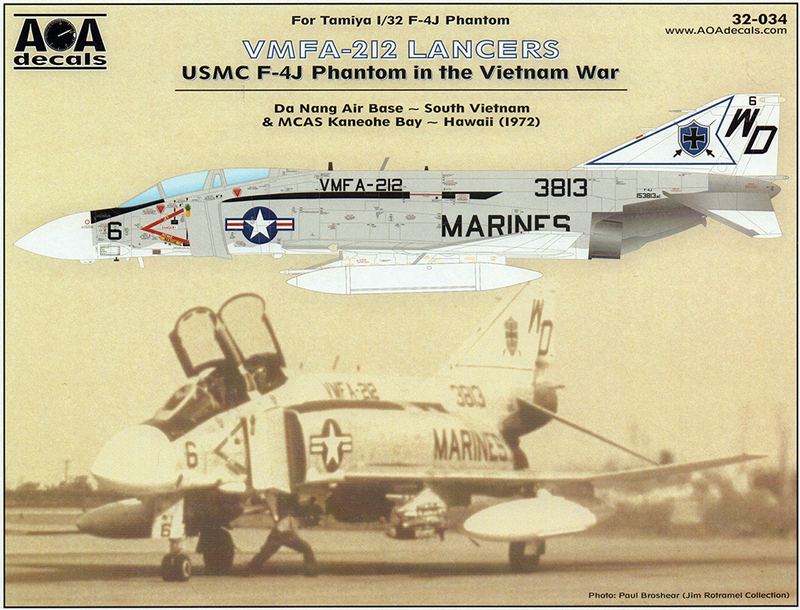 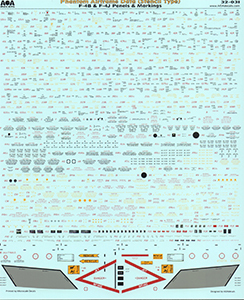 Here is the latest decal set for your Tamiya 1/32 F-4J kit providing you with a thorough set of markings for a VMFA-212 aircraft as it appeared at Da Nang AB in 1972. This set is printed by Cartograf and look great. 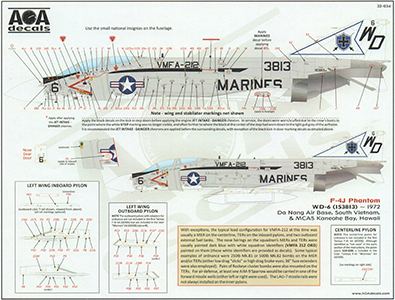 As you can see, the set is provided on three sheets and provide markings for one aircraft including one thorough set of airframe stencils.